A speech competition using the Jamaican dialect, is to be staged in St. Thomas, to highlight the life and contribution made by the late cultural icon, Louise Bennett-Coverley (Miss Lou). 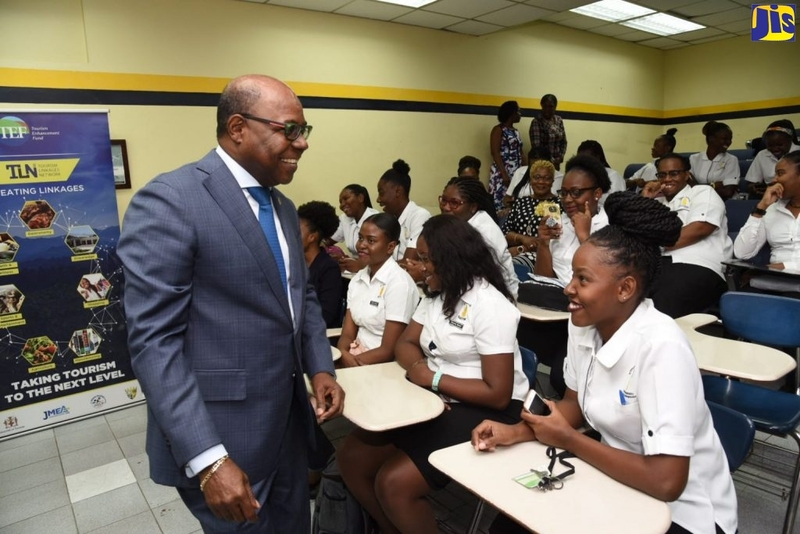 The competition, an innovation of the St. Thomas office of the Jamaica Cultural Development Commission (JCDC), is entitled, ‘Auntie Roachie sey’, and has targeted students between seven and 15 years of age in the parish. To culminate on October 27 at the Anglican Church Hall in Morant Bay, the competition is expected to be staged annually. The JCDC’s Cultural Organizer in St. Thomas, Beverly Edwards told JIS News that the competition would feature only poems of Miss Lou. “Students will get a chance to showcase their talent using the Jamaican dialect. So, we’re hoping that out of this, the dialect will be celebrated as it is a language and Jamaicans should be proud of it,” she added. The competition offers $10,000, $5,000 and $3,000 for placing first, second and third, plus trophies for the best performers in various categories. “So the teachers and students in the various schools are quite enthused about the competition,” Miss Edwards said. She explained that the use of patois in the competition was not in conflict with the teaching and use of standard English in schools, but rather a complementary tool. “That is why the language we use and learn, English, should be taught and learnt well, and students must be assured that the language they are born with is nothing to be ashamed of,” she said. Teacher of English at Paul Bogle High School in the parish, Sherine McFarlane told JIS News that in her classes, she often used patois alongside English. “When they understand their dialect, they will be able to translate it into English and having them perform in competitions using the dialect is not only natural for them, it also makes them proud of their language,” she noted. “The competition is a good thing for the students and it gives them exposure and all the other benefits that come with it. In addition, nobody can look down on them as Miss Lou was their pioneer,” Miss McFarlane added.